Google Cloud Print is a fantastic way to link your printers to the cloud and enjoy print-from-anywhere access, but there’s a catch. If you don’t have one of the recent Cloud-Print-Ready printers, you need to leave your computer on to enable remote access. Read on as we configure a tiny, energy-sipping Raspberry Pi for the task. Currently there are two paths to Google Cloud Print access in your home: you can buy a Cloud Print enabled printer that links itself directly to your Google account and your Cloud Print service, or you can use a PC (that has access to the printers you wish to add to Cloud Print) to act as a Cloud Print server. The first situation is ideal, as the printer itself connects directly to the cloud and there is no need for an intermediary. Barring that, however, it should be your goal to make sure the intermediary is wasting as few resources as possible. Leaving a desktop computer on 24/7 for the sole purpose of functioning as a Cloud Print server is a whole lot of resources for a job that requires very little horsepower. If you haven’t configured your Raspberry Pi with Raspbian or added printers to it yet, definitely check out the two links above to get up to speed. It is critical that you’ve followed along with (or at least checked your own printer installation notes against) our Raspberry Pi printer guide. If your Pi doesn’t have access to printers (local or networked), you won’t have any success with this tutorial. In addition, you’ll likely find it helpful to check out our guide to Google Cloud Print to familiarize yourself with the ins and outs of the system. 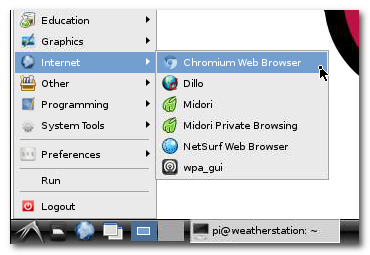 The secret sauce in our Raspberry Pi as Cloud Print Server model is the open source browser Chromium. 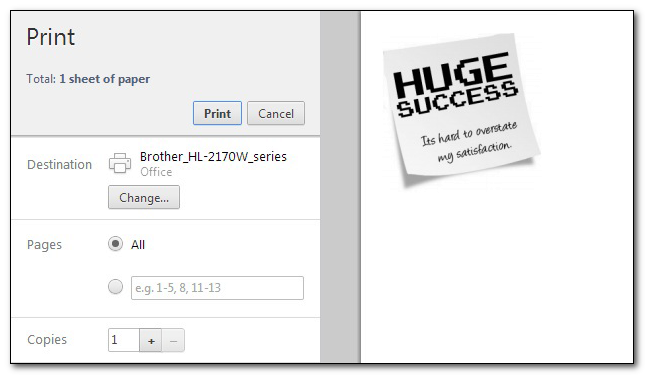 One of the official ways to add Cloud Print capability to a PC is to use Google’s Chrome web browser as a print server. Unfortunately, even though there is an official Chrome release for quite a few distributions of Linux, it only supports x86/x64 architecture and not the ARM-based architecture that powers the Raspberry Pi and Rasbian. This is where Chromium comes in, as we can still access the relevant features in Chromium that we need to link our Raspberry Pi to Google’s Cloud Printer system. When prompted, type Y and hit enter to continue the installation. The installation isn’t enormous, but it’s big enough; a ten minute trip to the break room to grab a cup of coffee is certainly a reasonable way to kill the installation time. Fill in the Google account credentials of the account you use to manage your Cloud Printers. Make sure “Stay signed in” is checked, since this is going to be a stand alone print server we don’t regularly interact with. After authorizing your account, you’ll see the “Add printer(s)” button. Whichever printers the Raspberry Pi has access to (be they local or networked) will be added to your Google Cloud Print account. If those printers were previously added by some other means, you’ll want to visit your Cloud Print management page to remove the older entries. 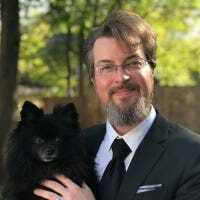 While we initially had concerns that the Cloud-to-Pi-to-Printer workflow would be slow (not that blistering speed is really that critical in most printing situations), those concerns have never been validated. Even with larger PDF files, the process is only marginally longer than your typically lengthy printing-a-big-PDF wait. After running your test print, you can close Chromium on the Pi as the print server will continue to run in the background. Now you can enjoy print-from-anywhere convenience for around a quarter a month (the Raspberry Pi consumes so little energy that the average annual operating cost is around $3).